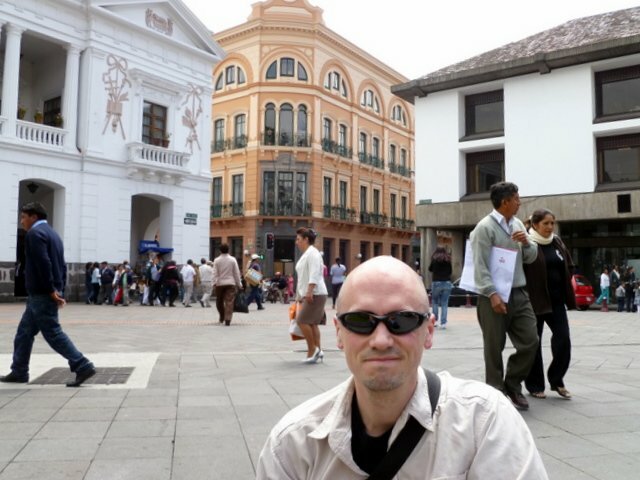 Quito is a mix of colonial and mission-style architecture. This is the main Old Town Square. FYI, Matt is getting very sunburned while this photo is being taken. We will pay for our stupidity later in massive sunburns.